It’s no secret that Bioware’s 2003 Knights of the Old Republic renewed my interest in Star Wars. My office contains a tasteful collection of photos and memorabilia. It surprises coworkers who visit for the first time, breaking the ice, and often starts a conversation. People will smile, and tell me a story. I’ve learned a lot of things that way. One coworker reflected on how he loved Star Wars as a child, and was thrilled to share it with his own children who likewise loved it. Another coworker’s daughter has a ForceFX lightsaber – I know, since her dad liked mine and bought a boxed one from my collection as a present. A young coworker from China was a fan of Star Wars, and is now my friend, because of our mutual journey “to be Jedi, not dirt-farmers on Tatooine.” My office serves a purpose, putting people at ease and giving us something common to relate to. That was both good and bad. Image has both connotations and complexity. The license plate was a good display of humor and an interesting talking point (“You’re Darth Loren? Wow, I was expecting someone taller!”), but also associated with, literally, the Most Awful Guy in the Galaxy. Should everyone’s first impression be that they’re going to be subject to “aggressive negotiations”? No, better to be known a Jedi Knight who was revered for restraint, wisdom and dedication. That’s the sort of person people want to work with. It’s not just what you’ve done, it’s what people think you’ve done. That transformation took time. The company changed, I changed with it. I learned and grew. 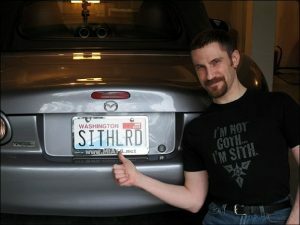 I sold that car, but it took time for people to forget SITHLRD, and see THEJEDI instead. 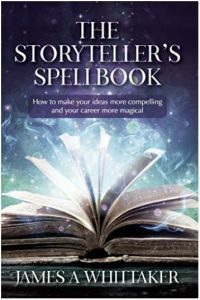 That’s why I titled this article “Manage your Mythology.” You need to be thinking of the image you put forth, and how your actions influence perception. It’s not just the story you tell, but the stories that are told about you. Consider, do you always say what you’ll do, and then do what you said? Do you honor agreements you’ve made, even when it turns out they disadvantage you? Are you helpful, willing to go the extra mile to lend a hand or freely offer knowledge that might assist? Do you do simple things, like smile and say hello at the coffee station? Contrast that striding into a room in black armor, announcing that you are there to get things back on schedule! Yup, that makes a lasting impression; nope, it’s not the reputation you want to have. As you tell your story to others, something I was told to consider was to the effect of, “will you get caught out and will anyone care?” By this, it’s meant you are welcome to tighten and brighten your story, but it should be true. Consider “my friend Sue and I got ice cream, and you can’t imagine what happened next!…” Well, Joe was there, too, but he’s not part of the story. Will anyone care? Probably not. Contrast that to Milli Vanilli controversy. That had to be pretty humiliating, but was entirely preventable. Never lay claim to things you didn’t do, and correct misconceptions quickly before they snowball. Recognize and thank people for their contributions. I would like to sincerely thank you for reading this article. I am passionate about project management and mentoring. I am thrilled that you are seeing these words. Thank you. I appreciate your support. Networking is important. Aside from myths about LinkedIn and some ideas on how to use it, two things to consider. First, be interested in someone else’s story. You never know what interesting thing you might learn. For example, I’m a licensed bartender. Bet you didn’t see that one coming – and it’s true! 🙂 Second, just like interviewing, it’s never about what someone can do for you – it’s always about what you can do for them. Did you find out someone has teenager who plays guitar? 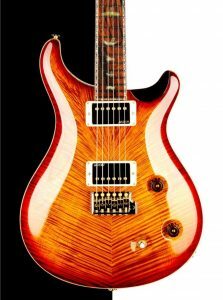 Do you know the owner of Seattle’s greatest guitar store? Maybe there’s a connection here! The internet never forgets. I searched myself and found a letter I’d written to PC Magazine when I was maybe fourteen years old. FOURTEEN. People have destroyed their careers over errant Twitter comments. Or doing questionable things during a conference. The world has changed. If you’d be embarrassed to have something on the front page of the New York Times, don’t do it and definitely don’t publish it. Always be on your best behavior, always be just and ethical. It’s important because you never know when something is being recorded for the world to see. Some people will call all this “managing your brand”. That’s legitimate, but a “brand” doesn’t resonate with people. A story will. Components of that story are your professional image. CBS has a good article on that. Here’s another from Forbes. And another two articles, one here and one here, on managing image. The image you project, the things that you do, become a “brand”, and that brand comes alive in the stories you and others will tell about you. Neil Gaiman has spoken about the importance of stories. Once we are gone, stories are all that remain. Make sure that you not only tell good stories, but that good stories are told about you. Manage your mythology. I actively support a corporate culture of inclusiveness and respect, and have no tolerance for bullying or harassment in the workplace. Work, however, is only a portion of people’s lives. Technology is all around us, and the internet can be a source of suffering. If you, or anyone you know, needs assistance, RAINN has resources to help. No one is alone. Economics classes point out that information is needed for rational decision making, and rational decisions result in the efficient allocation of resources. What happens, though, when one party has information that the other doesn’t? Suppose you bought a house that the owner knew had toxic mold problems but failed to disclose? The seller walked away with more money than would have been possible had information been disclosed, not only an inefficient solution, but one that most people would label unfair. No one would willingly pay more than something is worth to them. Knowledge is power. The power of private and personal information has been used to impact lives all over the world. It isn’t just a potential. The United States Supreme Court nomination of Robert Bork was upended by his video rental history. Identity theft cost the US $15B in 2014 and 700,000 stolen tax returns in 2015. In World War II and elsewhere, information cost lives. You, your projects, and your company must take privacy into account. This is an article on basic principles. There are also numerous articles to help convince a team that privacy matters. For example, this one on LinkedIn, this one from Santa Clara University, this one from The Atlantic, or this one on a blog. There are resources available from the International Association of Privacy Professionals. Privacy is an ethical obligation. Even if it wasn’t, consider the sanctions that can be levied by the European Union’s General Data Protection Regulation laws for failing to meet requirements. Remember, information you don’t have, you can’t be forced to disclose or accidentally leak. Information you have, you also have an obligation to secure and protect. When you collect it, you must state for what purposes you will use it and then comply with that statement. Information belongs to the individual, and it’s their right to ask for it to be corrected or deleted. It’s really just that simple.